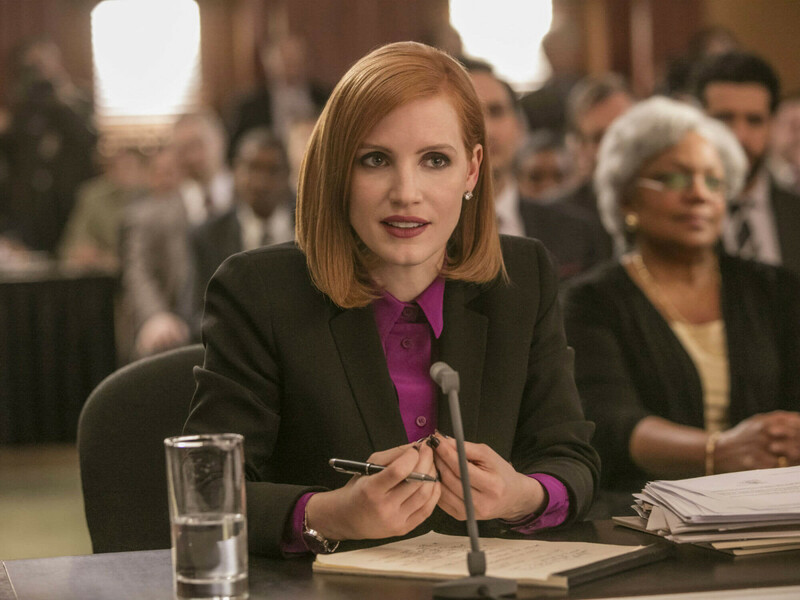 Two of the most controversial things in American politics are lobbyists and the issue of gun control, both of which are front and center in one of the timeliest movies in recent memory, Miss Sloane. 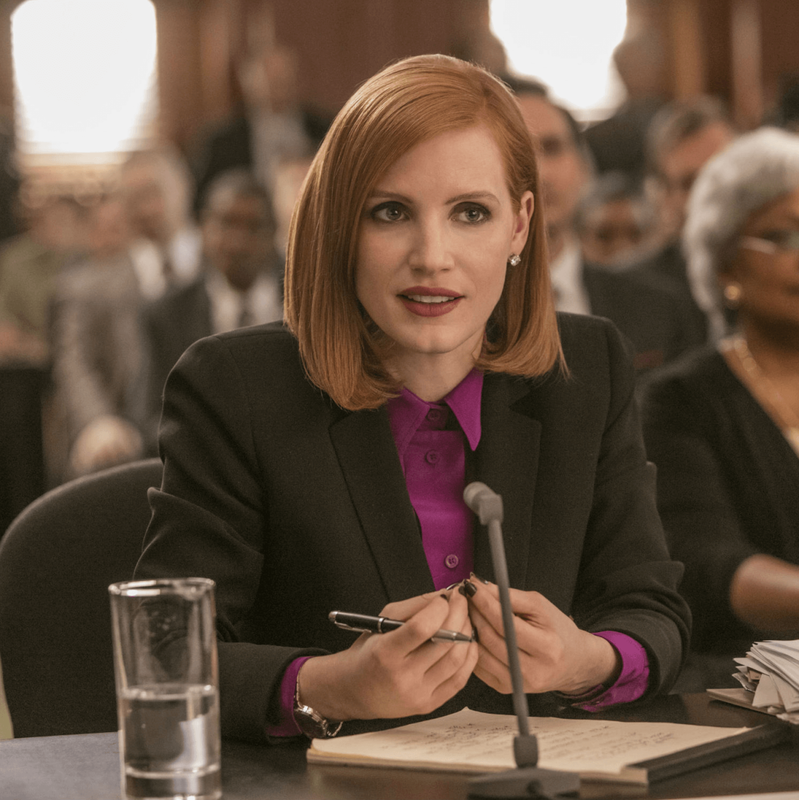 Jessica Chastain plays the titular character, Elizabeth Sloane, a ruthless lobbyist in Washington, D.C., who is unafraid of challenging men in power positions or taking a less-than-ethical route if it means getting what she wants. When the pro-gun lobby that opposes looming gun control legislation approaches Sloane to lead its efforts, she unexpectedly jumps ship to a rival firm in order to support the bill. But the film, directed by John Madden and written by first-time screenwriter Jonathan Perera, is not out to make her a hero. If anything, her choice to switch teams leads her into even murkier waters. Using everything in her power, including keeping her co-workers in the dark about her strategy, Sloane keeps pushing toward the goal, even if it means alienating everyone in her path. When done right, seeing the intricacies of how politics are conducted can be as thrilling as any action film. Madden and Perera hit almost all the right notes in their storytelling, expertly pacing out the film’s beats and twists to ratchet up the tension. Having an anti-hero at the film’s center is also a nice touch, as you can never be sure exactly which way she’ll turn next, giving the story a necessary mystery. Though not an exact parallel, having a female in politics taking on mostly men and being besieged at every turn echoes the recent election between Hillary Clinton and Donald Trump. The film and its characters focus more on Sloane's tactics and flexible morals, but the issue of her gender is felt with subtle undertones at key moments. Chastain, nominated previously for two Oscars, seems destined for a third with her unflinching performance. She controls every aspect of the film, even when she’s not on screen, with her icy glares and sheer presence. She’s been award-worthy before, but this is undoubtedly her best role to date. Complementing her is a powerhouse supporting cast that includes Gugu Mbatha-Raw, John Lithgow, Michael Stuhlbarg, Alison Pill, Mark Strong, Sam Waterston, Dylan Baker, and Jake Lacy, as well as a number of relative unknowns who each hold their own. 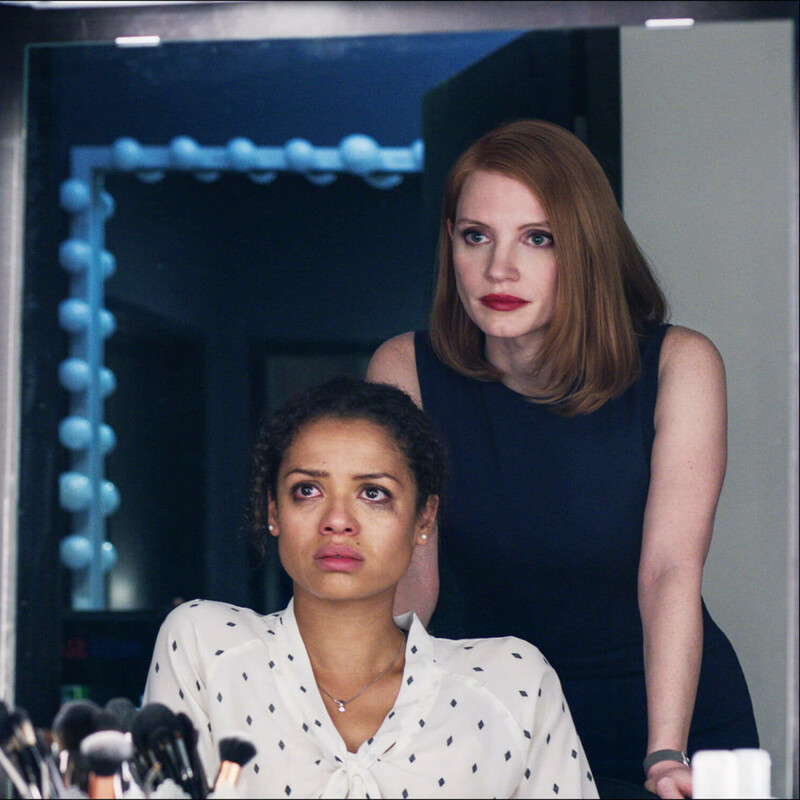 Given the bruising nature of the recent presidential campaign, seeing a movie about politics may not be at the top of your list, but make an exception for Miss Sloane. Its storytelling, themes, and performances are all too good to be missed.